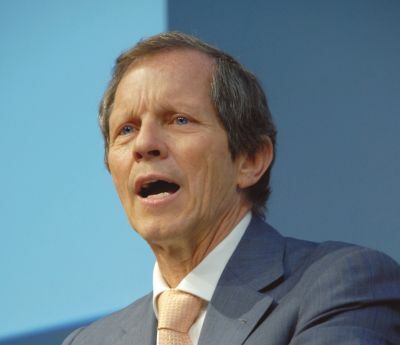 Brussels to lose Jet Airways? One of the oldest airlines in Latin America, with a history going back more than 90 years, Avianca, is to become what the airline terms ‘New Avianca’ combining the operations of Avianca, TACA Airlines, Aerogal, and Tampa Cargo. The carrier, based in Bogota (Columbia), has been a member of Star Alliance since 2012. 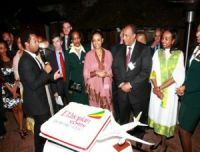 Claimed to be the fastest growing airline in Africa, Ethiopian Airlines celebrated last week 40 years of uninterrupted flights to London. 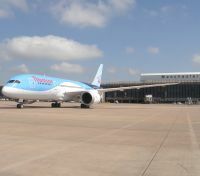 On 16 June it will launch a six times per week Boeing 787 Dreamliner service from Heathrow, connecting to its hub at Addis Ababa. Have you ever wanted to take the train but are put off by the distance from the station to your final destination? 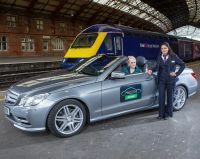 Help is at hand as First Great Western (FGW) brings car hire to their network of stations. In partnership with Europcar, FGW has launched a meet and greet car hire service, providing reduced cost car and van rental at 20 of FGW’s leading destinations. 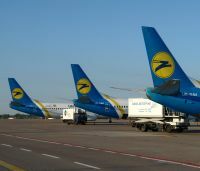 Ukraine International Airlines (UIA) is to double its frequency from Gatwick South to the Ukrainian capital of Kiev from 26 June with a second daily service just after midnight arriving 05:30 the following morning. The current flight remains the same, departing Gatwick 12:20 and arriving Kiev 17:40. The return service leaves 10:00 (11:35) and 20:05 (21:35). Flight time for the Boeing 737-500 is around 3hrs 30mins. 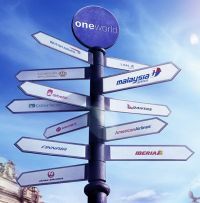 On the same day that it took delivery of its first Boeing 787 Dreamliner ((see in this week’s BTN)) British TUI subsidiary Thomson Airways found itself the recipient of further good news with the announcement by owner TUI Travel that it is to buy 60 Boeing 737 MAX. The planes, to be powered by CFM LEAP-1B engines, are scheduled for delivery between January 2018 and March 2023. 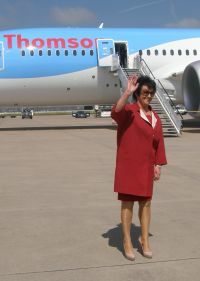 TUI operates five other European airlines besides Thomson – TUIfly, TUIfly Nordic, ArkeFly, Jetairfly and Corsair – with 141 current aircraft. It has been a busy week for Boeing with not only the first (of 10) Dreamliners for China Southern Airlines, and again the first for Thomson Airways (see BTN 27 May) but also an announcement by Singapore Airlines that it has a requirement for 30 787-10Xs, a stretch medium range version which has yet to get the official go-ahead. Singapore also placed a firm order for 30 Airbus A350-900 XWB. 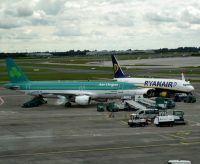 Ryanair has been told to reduce its shareholding in Aer Lingus after the UK Competition Commission (CC) provisionally decided that its 29.8% could reduce competition on routes between Great Britain and the Republic of Ireland. The knock-on effect of the British Airways Airbus A320 BA 762 (G-EUOE) incident at Heathrow on Friday 24 May (see BTN 27 May) seems to be growing. The British Air Accidents Investigation Branch (AAIB), based at Farnborough, has issued a ‘special’ notice suggesting to Airbus that it formerly notifies aircraft operators of problems associated with the engine cowlings. London’s Heathrow Airport announced two items of news last week, totally unrelated. Firstly it has changed its wi-fi supplier to Arqiva and now all users of the airport can log in for a courtesy 45 minutes and those with its (free) Rewards card product are OK for 90 minutes. After that it is £3 for an extra hour or £5 for three hours. 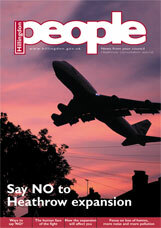 It also published ‘A quieter Heathrow’, a statement setting out the airport’s promise to reduce aircraft noise while safeguarding the UK’s connectivity. 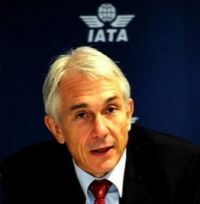 With the annual general meeting about to take place ((see above)) the International Air Transport Association (IATA) has announced global passenger traffic results for April showing a 3.2% increase in demand over the previous April. Emerging markets are continuing to lead air travel growth, with all regions reporting year-over-year gains. 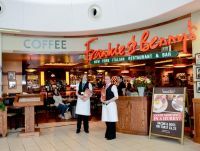 InfraNews, which titles itself “Business Intelligence for the Global Infrastructure Finance Industry” reports that Abertis, the Spanish operator of Luton and Belfast International airports, is in discussion with Aena, also Spanish, and a minority shareholder, to sell its interest. 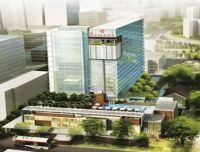 Wyndham Hotel Group, claimed to be the world’s largest hotel company with over 7,380 hotels has entered the Singapore market with the opening of two properties. A new look that will help Spain’s Vueling Airlines expand its presence in Europe will start flying aboard on one of its new Airbus A320s throughout its network until December 2013. This was the question posed by your Editor to Tom Otley, Editor of Business Traveller, as they walked (the not very far by airport standards) between the gate and Border Control at JFK’s T4 at the Delta lounge opening (story in a future Business Travel News and see issue 20 May). 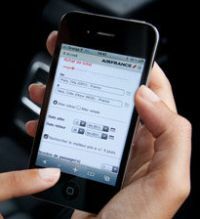 Together with its partner airline KLM, Air France is to conduct experimental flights across the North Atlantic this summer offering passengers wi-fi and live TV. Two of the airline’s Boeing 777-300s have been equipped with a Panasonic system which will offer connectivity throughout the flight. Customers can connect to the internet using their wi-fi enabled smartphones, laptops or tablets at a fixed rate and use their mobile phones for text. Whilst Brussels may be the joint centre of the EU (together with Strasbourg) airlines seem less and less inclined to use its international airport. This is probably due to little leisure traffic and a clamp down on diplomatic expenses. With the 60th anniversary of The Queen’s Coronation being celebrated today (Monday 2 June) Gatwick Airport has unveiled the latest addition to its British artwork collection. Japan Air Lines is to expand the installation of fully-flat accommodation in Business Class on more international flights. The airline's "Welcome! 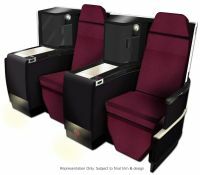 JAL New Sky" project includes new seats in both Business and Economy Classes on the airline’s international Boeing 767-300ER fleet. 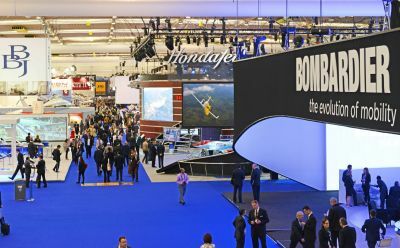 For the first time one of the world’s three global alliances is to move into the conventions travel market with a product called ‘events’. 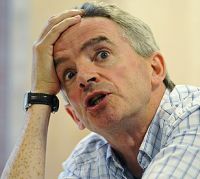 It has not been a good week for Michael O’Leary. 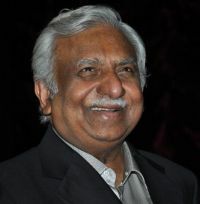 Not only has the UK Competition Commission suggested that he sells/reduces the Ryanair stake in Aer Lingus ((see this issue of BTN)) but he has issued what only can be described as 'a rant' over an Irish Labour Court recommendation designed to end a long-running dispute over a €780m deficit in an existing joint fund, the Irish Airlines Superannuation Scheme. easyJet has been quick on the uptake following the new Israel/EU to ‘Open Skies’ agreement (see BTN 29 April). The airline is to introduce a twice weekly service from Rome Fiumicino on 24 September. Rome will become the fifth city to be linked with Tel Aviv by Britain’s largest airline, after Luton, Manchester, Geneva and Basel. Flights will be operated by an Airbus A320 on Tuesdays and Saturdays. With the new services easyJet will be the second largest non-Israeli carrier to Tel Aviv. 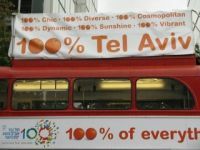 easyJet was the first low-fare airline to enter the Israeli market in November 2009 and from winter 2013 will operate 23 services per week to Tel Aviv, carrying over 400,000 passengers annually.